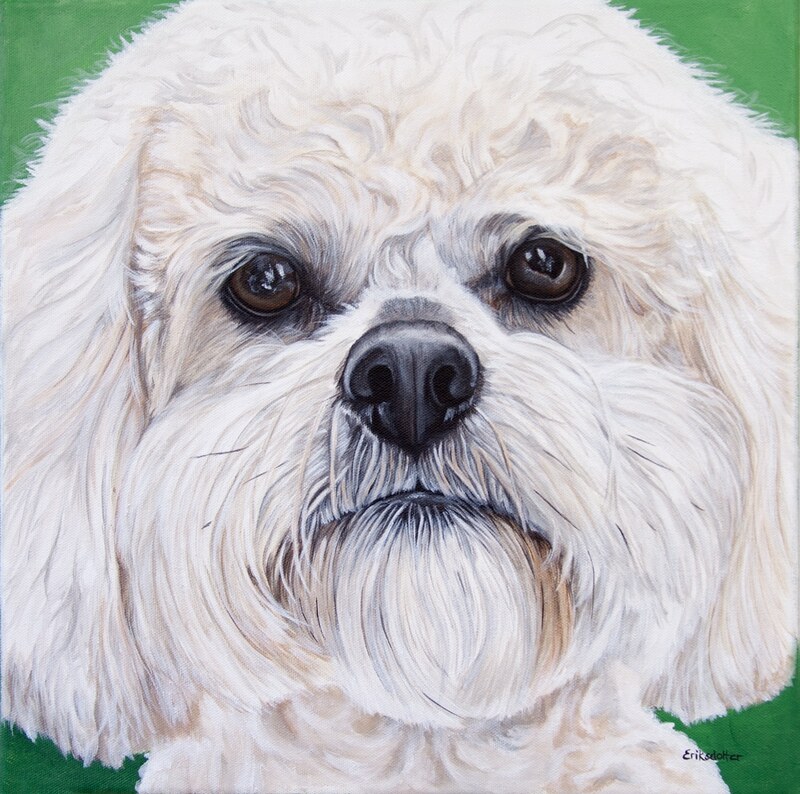 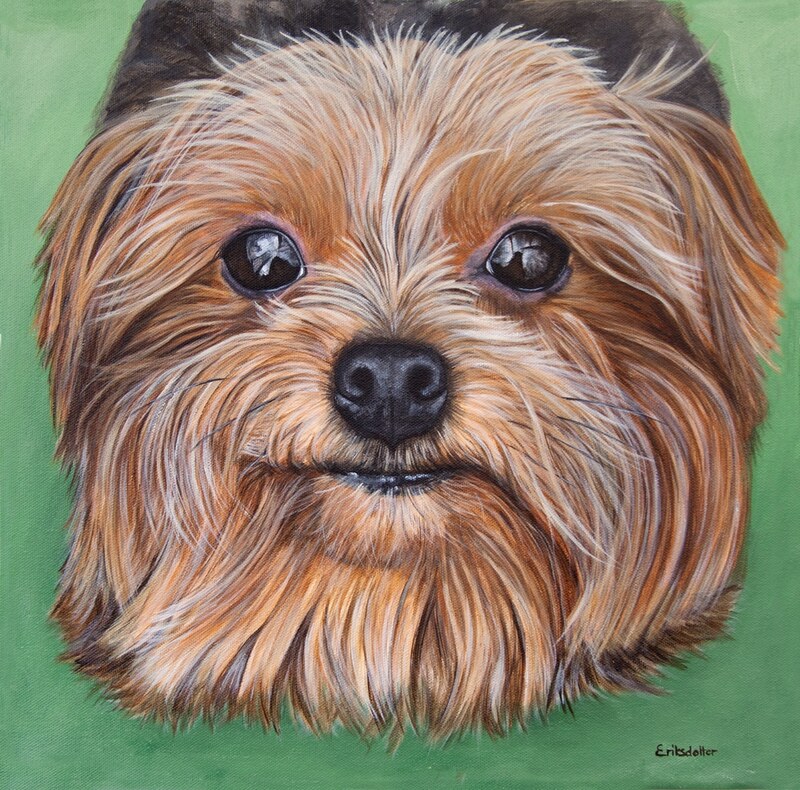 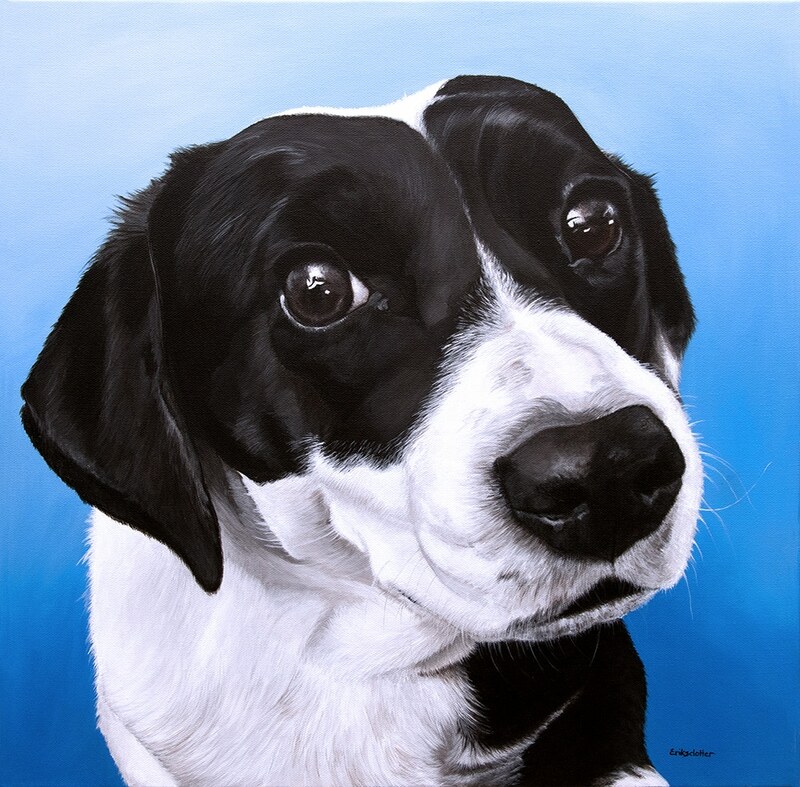 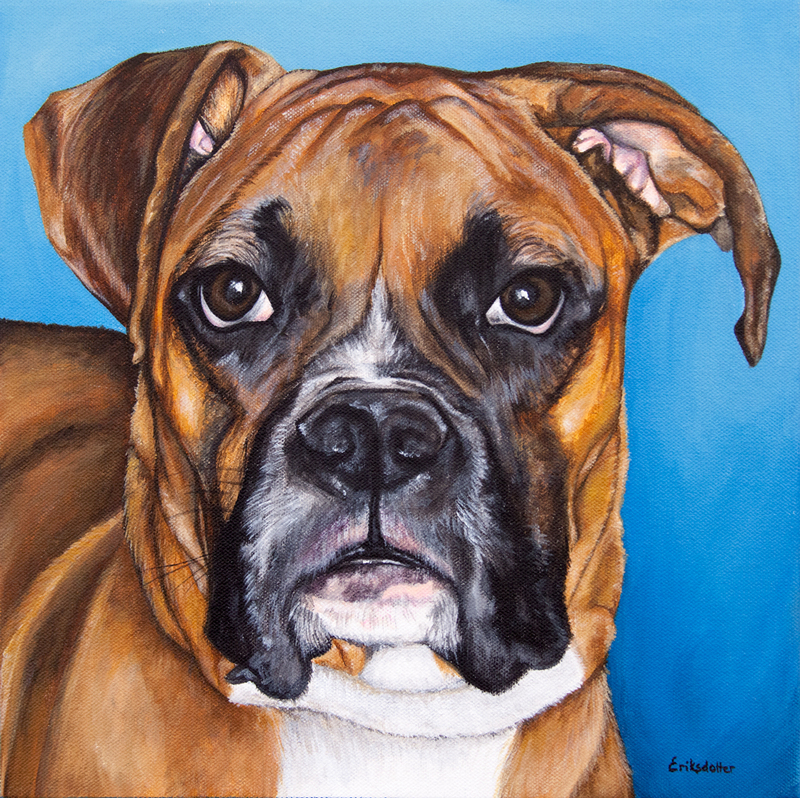 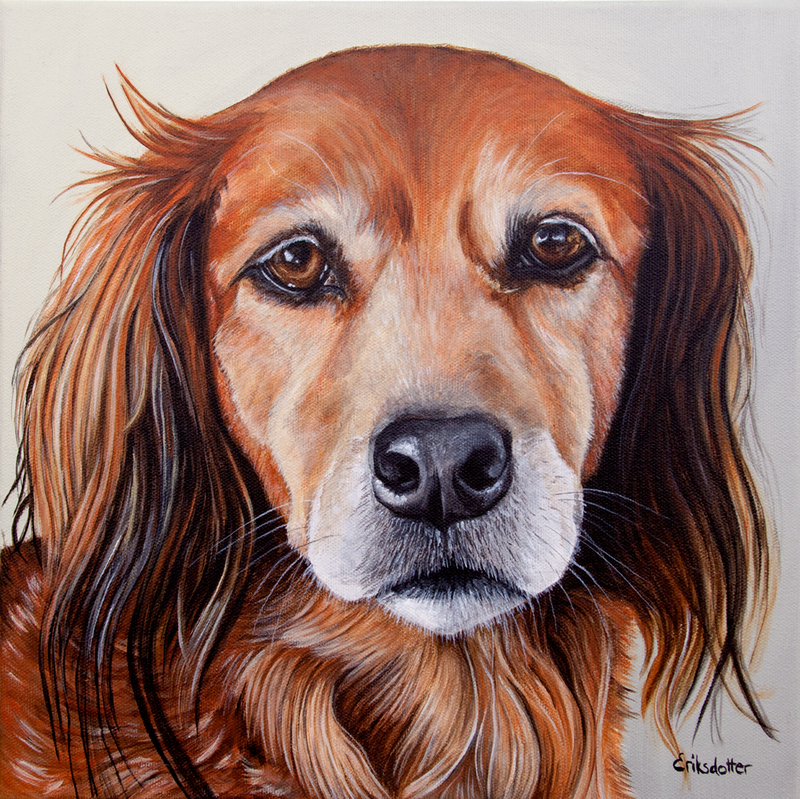 Caroline’s Pet Portrait was commissioned by a wife as a surprise birthday gift to her husband. 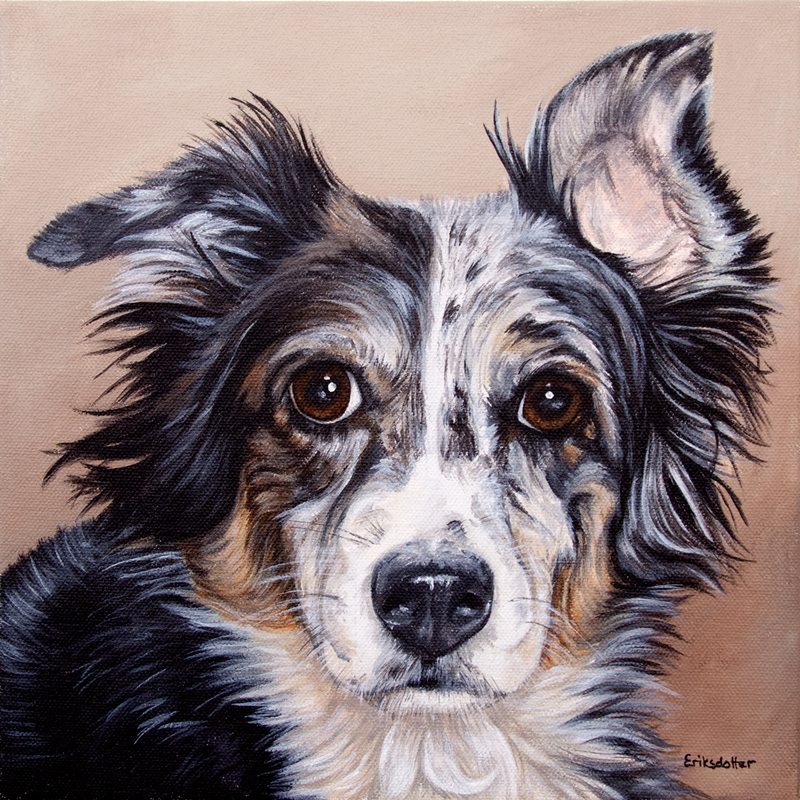 Caroline, a border collie mix, has brought joy to their family every since they rescued her and she wanted to capture that love on canvas. 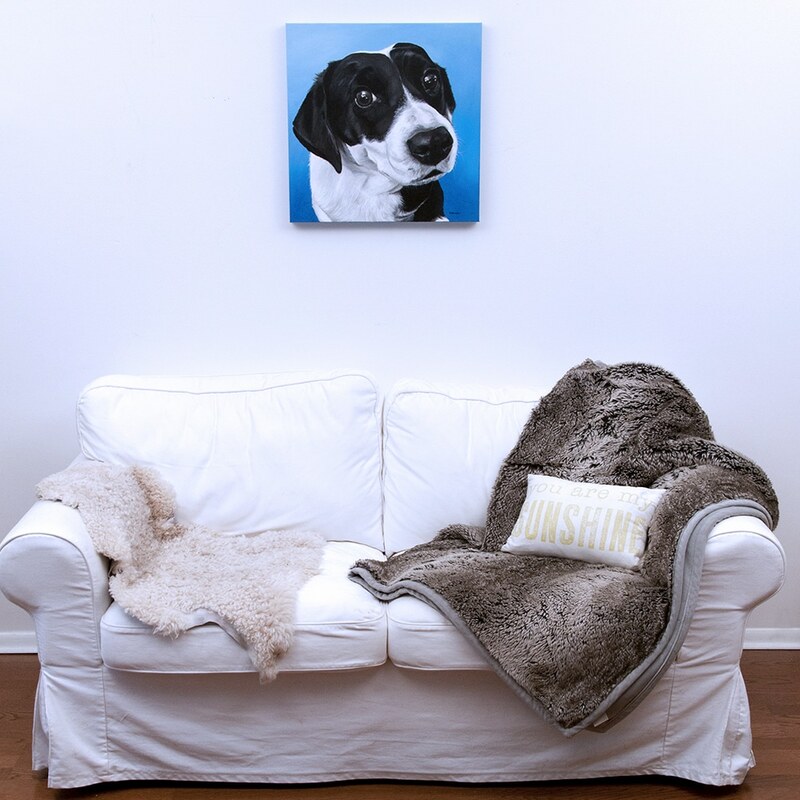 They were both thrilled with the results, and more so, they enjoyed seeing the full process via the photos and videos that were shared throughout. 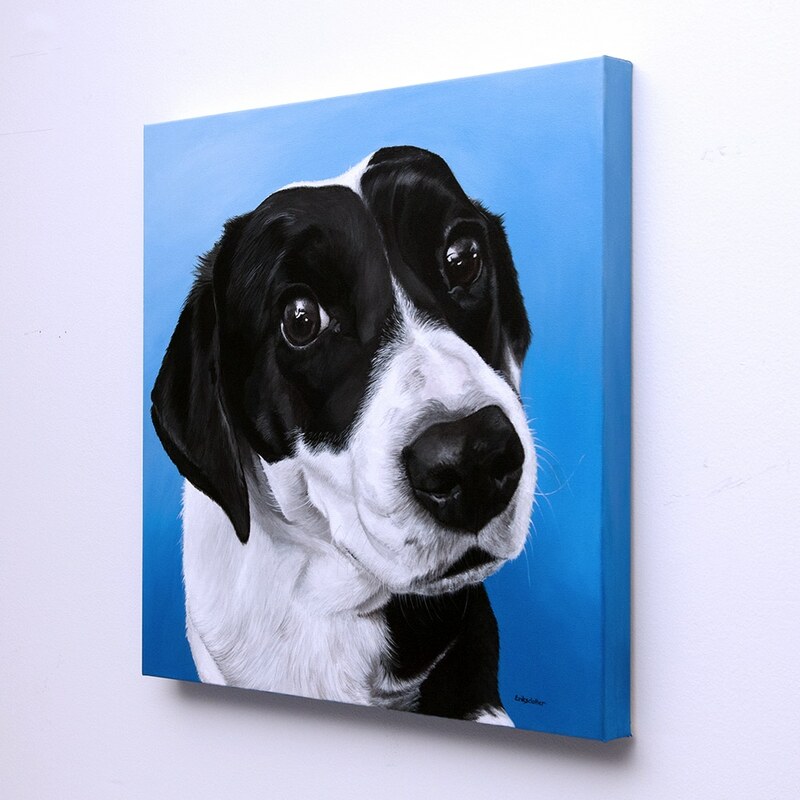 My client was pretty set on a blue or green background and after a few samples mixed together we went with this calm, yet bold blue background.